Sometimes this one gets a bad wrap. Mostly from people who expect 90% of good cinema doesn’t date itself, which is just silly. One thing I love about this movie, is that it’s just about the closest adaptation of a Stephen King book I’ve ever seen (from the ones I’ve read, that is.) Not to mention the child actor who played Gage (Miko Hughes) was incredibly disturbing as he transitioned from the role of an innocent baby to basically a demonically-possessed corpse. It’s also deliciously campy in a way modern horror directors tend to forget can be a good thing when done right. – An old burial ground that resurrects whatever is buried there, in a manner of speaking, and sends them on soul-less rampages to destroy whoever the living person might have cherished. – A wise old man with dark knowledge of the Pet Sematary’s past, played by none other than Fred Gwynne (otherwise famous for his role as Herman Munster). – An even more evil child. – The compulsion to return to this forbidden place and try your luck again, knowing full well nothing good can come of it. – And also a daughter conveniently forgotten who apparently has visions of the future. 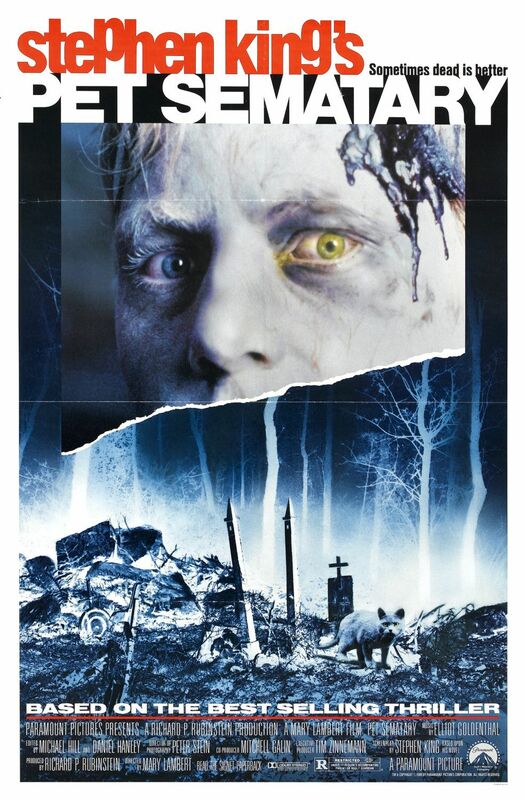 I mean, Pet Sematary has a lot going for it, if you’re looking for something to watch alone or with friends on a stormy night. And that’s why it’s the horror flick of the week.